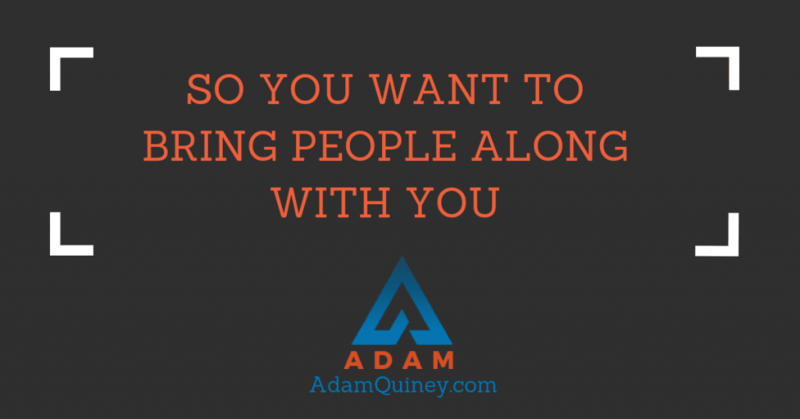 You want to bring people along with you, but you hate the idea of dumbing your message down. People can follow you, or they can follow the proles. History will vindicate you and show how brilliant you were. Maybe you’re right, maybe you’re wrong. But you won’t have any say in that once you’ve moved on. Consider that “staying smart” and refusing to dumb things down is the easy road. It saves you from having to empathize. It saves you from having to get outside of your ivory tower and do the hard work of connecting with another human being. Being responsible for what you have to say landing with the other side — that’s your edge. Why not act while you have the power to do so?